This band was formed in 1991 by Eric Hilton, co-founder with his partner Fari Ali of the legendary DC Acid Jazz party named Exodus. Eric decided to create the atmosphere of this legendary club on record. Most of the tracks of the album "Way Out There"(1996) were writen, produced and played by Eric Hilton. Later on, Rob Garza and Eric Hilton met at Eighteenth Street Lounge in May 1995. They were introduced by a mutual friend and proceeded to discuss their admiration for the work of Antonio Carlos Jobim and the 60's bossa sound. 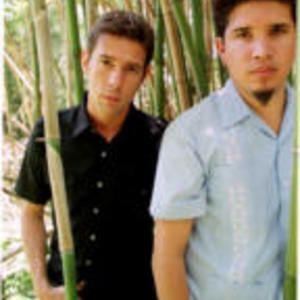 Weeks later, in a home studio, they began to work on the music that would launch Thievery Corporation.